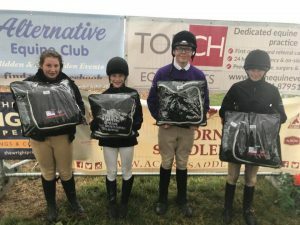 Heavy rain, high winds and thunder was all thrown at the children taking part in the north Devon Schools Showjumping league championships at Coxleigh Barton, Barnstaple on Saturday 28th July. Yet this didn’t stop a single one of them riding hard to try to walk away with one of the championship titles for their schools. The competition was high energy, adrenaline fuelled and extremely tense when the riders at the top of the tables battled it out for the win giving their jump offs everything they could. The atmosphere was fantastic. Every child there displayed great sportsmanship and made their Schools and families extremely proud. The 50cm league was won by the Chulmleigh Cubs. The cubs team was made up of riders from both Chulmleigh primary & secondary school. Riding as only a team of 3 William Barlow, Fred Barlow & Zak Flanagan stood proudly to accept the award of 50cm team champions having just scraped the Pilton CC Rocket Riders off the top. 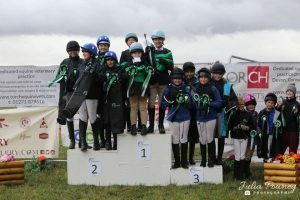 The boys waved their rosettes high in the air whilst patting each other on the back and celebrating their success with those next to them on the podium. It was a win the team thoroughly deserved! 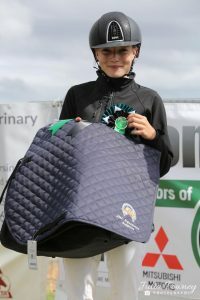 15 year old Molly Rutty from Ilfracombe Academy went on to take the individual win with her pony Spider, just pipping 2nd & 3rd place competitors Zak and Imogen Gay to the post with her precise jump off. 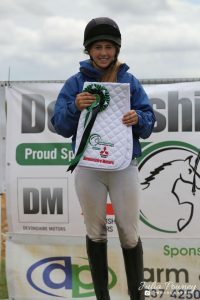 The 60cm individual champion was 16 year old Oceana Tyas who rides for Great Torrington. Oceana and her Pony Larnleighs Legacy were unbeatable in this years 60cm having stood at the top of that league table all year due to their incredibly fast and precise jump offs! The 60cm team win was taken by West Bucklands team, the legends. 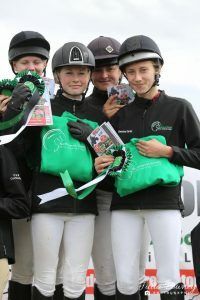 Riders Bethany Gay, Harry Pocock, Katie Miles & Louisa Cotton did all they could on the day taking some risky turns and quick gallops in their jump offs that paid off to give them the win! Braunton Academy Team Fusion weren’t messing around in the ring for the 70cm, they were there to win and were fabulous to watch. The cheers from their parents and supporters rang out as All 4 riders Olivia Goodfellow, Poppy Priscott, Sienna Gray & Lilli Fiddes jumped fast, nail biting clear rounds for their well deserved win. 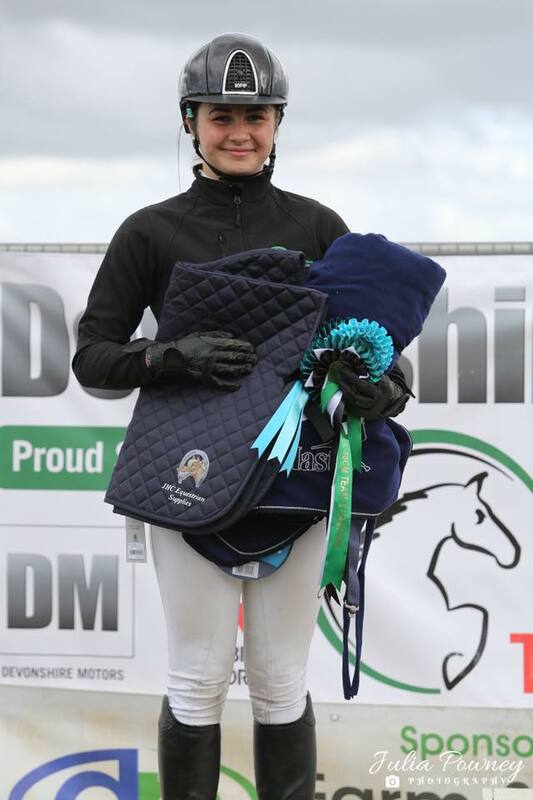 Both the 70 & 80cm individual titles were taken by Braunton Academy’s, determined 12 year old Lilli Fiddes & her fabulous pony, Miradays Luigi who jumped incredible rounds on the day to remain at the top of the leader boards where they’ve stood, modestly all year. The Great Torrington Dare Devils, Megan Cole, Tayla Cane, Ginny & Abi Knight flew round the 80cm with sheer determination to win the last few league points up for grabs to secure them the 80cm championship title. The noise from the sideline as the team watched each other enter the ring and ride showed just how much the title meant to the team. It was a well deserved win from a team that have worked hard together all year. With the top 2 teams on the 90cm table on equal scores going into the championship rounds, it was any body’s to take! 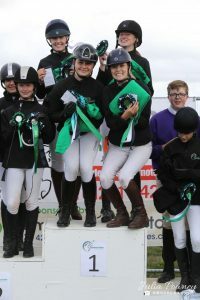 Riders Fraser Boundy, Jessica Cummings & Lily Cronk of South Molton Community College Team Storm accepted the challenge and rode with sheer determination to win the title with all 3 riders jumping intense but beautiful clear rounds! 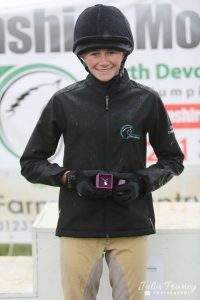 Megan Cole, aged 16, riding for Great Torrington school took the title of 90cm League Champion. Due to their determination, commitment and precision Megan and her pony, Something Nice have dominated the 90 table all season going into the championship show unbeatable. South Molton Community College Team Storm and Braunton Academy’s Lilli Fiddes. Lilli stood on the podium in complete shock that for a second year running, she was walking away with the overall title. Last year on her pony Rolo and this year on Miradays Luigi. Taking the title ahead of over 200 competitors that have taken part in the league this year, Lilli said she’s is “incredibly proud to ride for her school & grateful for everything her ponies do for her” Lilli congratulated all of the other competitors that took part on the day & during the year saying she’s loved riding with every one of them. Winning overall was the highlight of the year for Team Storm who say they thoroughly enjoyed taking part in the league as it has given them the opportunity to work as a partnership with their horses. 13 year old Jessica said “I feel very honoured to have been given the opportunity to compete for my school” whilst 14 year old Fraser commented “I am proud to represent SMCC and enjoyed the great team spirit shown throughout the league. It stood out on Saturday how much everyone has improved and the fun atmosphere summed up the whole competition” Lily & Chloe, both 13, said the league has “taught them a lot and not to give up” They have “especially enjoyed the sportsmanship shown by all the competitors”. The team have extremely worked hard all year to gain this title. They are a credit to their school and families and set a great example to those around them. 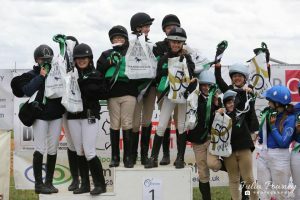 The main aim of the North Devon Schools Showjumping league is to promote good sportsmanship amongst the children taking part in equestrian sport and to give those who are passionate about horse riding a chance to show case their talents locally in a safe & encouraging environment whilst also representing their schools. The organisers are proud of every single one of the children taking part and have loved watching each and every one grow in confidence and improve this year. They would like to congratulate every competitor & title winner and can’t wait for the league to begin again next year. 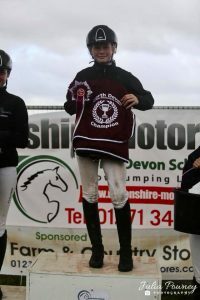 They would like to encourage anyone with an equestrian interest aged 7-18 attending a school in the Devon area to give the North Devon Schools Showjumping league a go!